The SROI Network is a leading international social enterprise, owned by our members with the aim of changing the way society accounts for value. 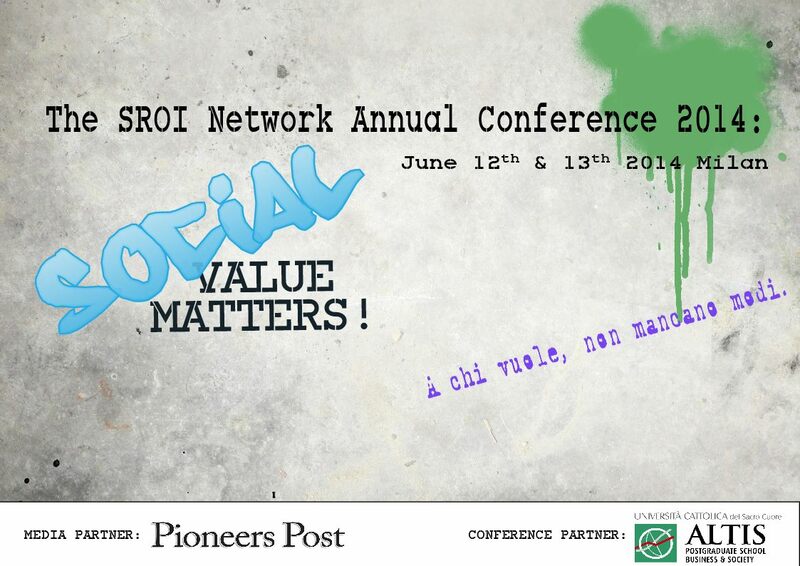 Join The SROI Network in the heart of Milan where those involved will be learning from organisations already putting social value measurement into practise, finding out what they have discovered and how they’ve utilised results to really make a difference. As well as this you’ll have the opportunity to meet members from around the world and make some fantastic connections. We’re covering topics from Social Investment, Commissioning and Valuing what seems to be invaluable to forward thinking and looking at a new economy, there are plenty more alongside this and you’ll also get the opportunity to discuss what you think most important in one of our open sessions. We’re also holding a report open surgery – book a slot, bring your report and gain important feedback! Want to tweet about this event? Use one of the tweets below!